Road Town, Tortola, British Virgin Islands, April 9, 2018 ………Unfortunate events present opportunities for growth. The outpouring of love the Territory received after Hurricanes Irma and Maria yielded new seeds – Seeds of Love. 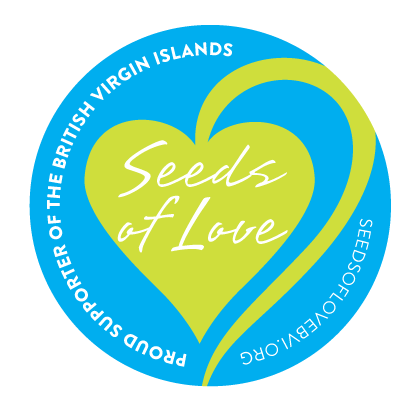 The British Virgin Islands Tourist Board (BVITB) is spreading love in the BVI through its global “Seeds of Love” initiative. The campaign aims at replanting the islands’ indigenous trees and vegetation destroyed by Hurricanes Irma and Maria whilst preventing erosion and protecting the ecosystem, the very thing that makes the tourism product unique. Environmental preservation is vital to ensuring that the destination lives up to the environmental image of unspoiled landscapes that resound with the tag line, “Nature’s Little Secrets”. The BVITB is committed to the full restoration of the Territory and anticipates generous contributions to this worthy cause. Gabi Romberg of the Board’s German agency, after seeing the damage to the fauna as a result of the hurricanes, started a fundraising initiative in the German-speaking markets, to purchase coconut palms to be replanted on the beaches of the Territory. Around the same time, the Government of St. Vincent and the Grenadines made a generous donation of 3,000 fruit trees to the territory. The “Seeds of Love” Campaign started when these two initiatives fused and were further developed under the leadership of Director of Tourism, Mrs. Sharon Flax Brutus. “The people of St. Vincent and the Grenadines are committed to working with our brothers and sisters in the British Virgin Islands to rebuild. We will continue to do our part to ensure that this blessed project ‘Seeds of Love’ is a huge success!” stated St. Vincent and the Grenadines’ Minister of Agriculture, Saboto S. Caesar. In addition to these gifts, the BVITB purchased 3,000 coconut seedlings and saplings in an effort to replant and maintain what was lost during the storms. “We are sincerely thankful for their seeds of love as this is not only a valuable contribution to our environment, but to our very existence. I am excited that this project is taking shape, and I am pleased to announce that we have received our first shipment. Our intention is to distribute this shipment throughout the four main islands,” explained Mrs. Flax Brutus. “Seeds of Love” germinates in the BVI as the initiative takes root throughout the Territory. The BVITB has partnered with other local government agencies, ministries and departments to allow for the distribution of planting in public spaces. The entire local community will be involved through “Seeds of Love” planting days with special celebrations centered around global Arbor Days, Earth Day and other environmental focal points that make it exciting and engaging for everyone. This includes friends and guests of the BVI from around the globe who will be invited to be “voluntourists” by volunteering to plant a tree during their visit. The initiative is well on its way as BVITB Project Manager Shereen Flax-Charles and Product Development Officer Arvan Hodge have begun the distribution of the saplings and seedlings throughout the Territory. To ensure the sustainability and longevity of the plants, the BVITB will continue supporting recipients with the assistance of Mr. Jahnai Caul, a young BVIslander interested in Agricultural Science. Jahnai has been assisting with distribution and planting. He attended an internship last summer and received training from Lecturer K'adamawe A. H. K'nife of the University of the West Indies, Mona Campus in Jamaica, and Mark Harvey of Rural Agricultural Development Authority (RADA) St Andrews. Kingston, Jamaica. “Tourism is the mainstay of our economy, there is no tourism without the environment. Whither the environment goes, so goes the economy. It is extremely important for us to invest in, protect and prosper our natural heritage. Reforestation is a necessary component of building resilience,” explained Dr. the Hon. Kedrick Pickering, Minister of Natural Resources and Labour. The BVITB hopes to see the “Seeds of Love” initiative blossom into a fruitful network of inspiration for the BVI to understand the relationship between tourism and the environment and to advocate for the protection of the environment as we move to develop ecotourism in the territory. For more information on the Seeds of Love initiative, visit www.seedsoflovebvi.org, to donate directly, visit http://pledgeling.us/seeds-of-love-bvi. Known as a treasured destination, rich in undiscovered experiences, the British Virgin Islands (BVI) is an alluring archipelago comprised of 60 islands and cays located 80 kilometers (60 miles) east of Puerto Rico, in the northwestern region of the Caribbean Sea. The main islands of Tortola, Virgin Gorda, Anegada and Jost Van Dyke have attracted travelers globally with its cultural Caribbean authenticity. Located in Tortola, Road Town is the British Virgin Islands’ capital. Recently ranked #1 Best Place to Visit in the Caribbean for 2017-2018 by U.S. News, the BVI is where nature’s best secrets are kept with an abundance of pristine beaches, azure seas, towering sage mountains and burnt-orange sunsets. It’s no wonder the BVI’s Virgin Gorda and Jost Van Dyke were featured on the “Top Islands in the Caribbean, Bermuda and the Bahamas” list in Travel + Leisure World's Best Awards 2017. Despite its status as a United Kingdom territory, the BVI uses the U.S. dollar as its official currency. 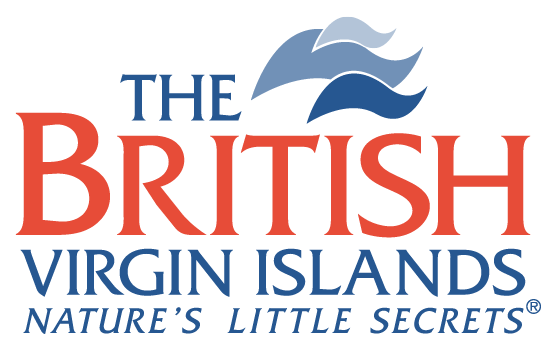 The BVI Tourist Board invites everyone to experience the tropical mystique of the country’s unparalleled and enriching offerings. For more information about the BVI, visit www.bvitourism.com. Older PostFrom the ground up!